Apple Media Event Tomorrow, Any Ideas? 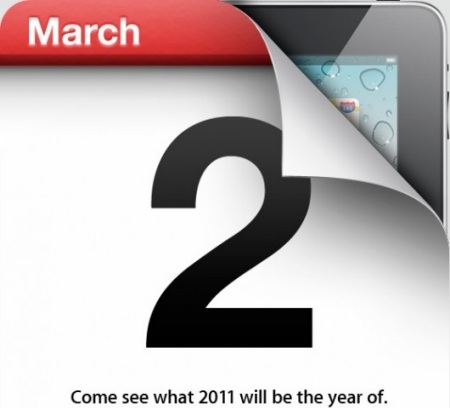 "Apple is holding a media event on March 2nd, and it's about the iPad 2 for sure. Get news and analysis as it happens by tuning in to the Hardware 2.0 live coverage event." I think it's pretty likely the iPad 2 announcement will be part of this event tomorrow, but what else do you think will be announced? Any thoughts?